After striking a deal to join forces from 2018, Ryan Walkinshaw and Michael Andretti have declared bringing a new manufacturer to the category as their ‘key objective’. 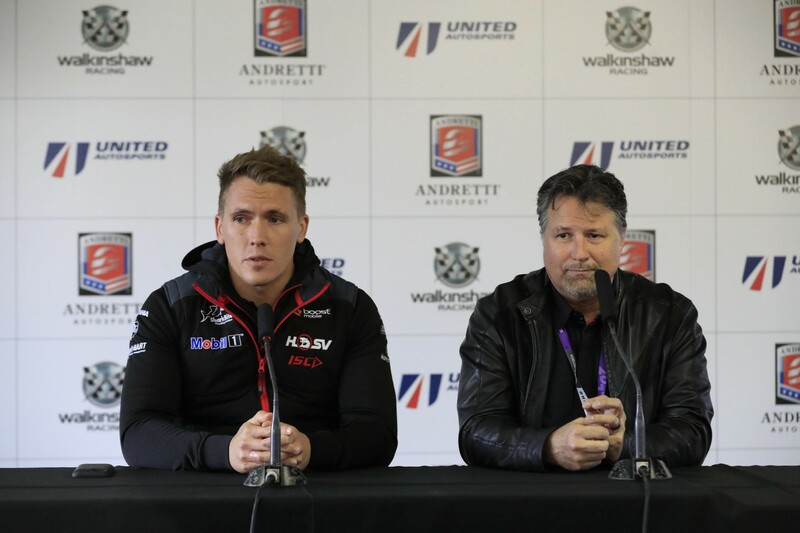 The duo yesterday announced the formation of Walkinshaw Andretti United, with Walkinshaw selling equity in his family’s team to Andretti and McLaren boss Zak Brown. Walkinshaw’s Australian squad has run Holdens since it formed over 25 years ago, but lost its factory backing to Roland Dane’s Triple Eight ahead of this season. 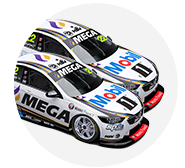 It was reborn as Mobil 1 HSV Racing, utilising the link between the Supercars team and Walkinshaw’s HSV road car arm. HSV’s plan to sell right-hand-drive Chevrolet Camaros in Australia following the end of Commodore production has led to suggestions that Walkinshaw would introduce the two-door car to Supercars. The Englishman has, however, declared there are no plans to race the Camaro and instead says he and Andretti will both lean on their automotive contacts to lure a new marque. “It’s not a long-term goal or plan,” Walkinshaw said of a Camaro Supercar. “As it stands today, our ideal situation will be to continue running Holdens next year, but there will be a renewed focus from myself and Michael to go and search for a new manufacturer going forward. “It’s one of our key objectives, to start putting the search on and the feelers out for a new manufacturer. “We’ve got some fantastic connections on the road car side of things with a dozen or so manufacturers, we’re very, very close with them, and Michael has the same thing on the road car side from the US as well with international brands. Walkinshaw says the team's aim is to upgrade to the new Commodore body in 2018, even if it is only running Holdens for one more season. "Our desired outcome is to be running the new Commodore shape next year," he said of the ZB model, which is being homologated by Triple Eight. Andretti is at Bathurst this weekend with a selection of his team’s key employees, including technical director Eric Bretzman. The five-time Indy 500-winning team owner says his interest in becoming a Supercars owner was sparked by a similar move from fellow American racing legend Roger Penske in 2014. Andretti Autosport's primary racing programs in IndyCar, Formula E and Global Rallycross are through partnerships with Honda, BMW and Volkswagen respectively.